This chapter explains how to create your own hotkeys, menus, and menu items. This kind of code is typically placed in the menu.py file. Please refer to Installing Plug-ins for information on how to install custom files. Nuke - the application menu on top of the interface. Pane - the Pane menu found in all content menus. 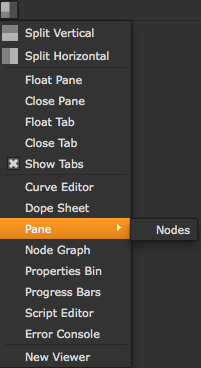 Nodes - the toolbar (and the right-click menu in the Node Graph). Properties - right-click menus of properties panels. 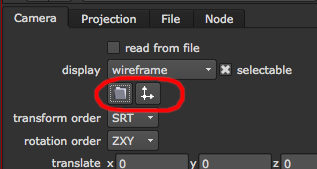 Animation - the pop-up menu on the Animation button of all properties panels, and the right-click menu of the Curve Editor. Viewer - the right-click menu of the Viewer. 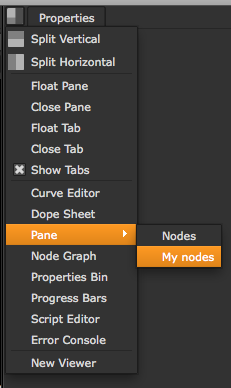 Node Graph - the right-click menu of the Node Graph. 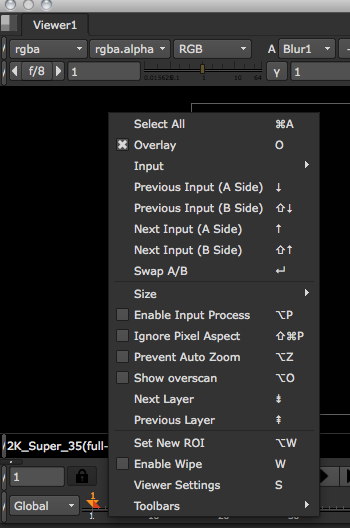 Axis - the menus on all Axis_Knobs. In the above example, we create a menu called MyMenu menu on the fly. If you deactivate a menu item, the hotkey assigned to it still continues to work. You can also use modifier keys when assigning a hotkey. ^ followed by the key. # followed by the key. + followed by the key. 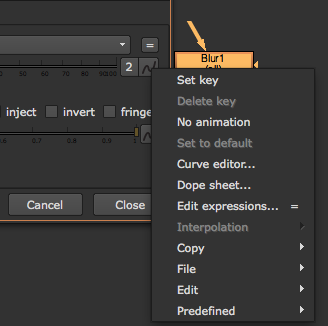 The above line sets the size control of any subsequently created Blur nodes to 77 by default. 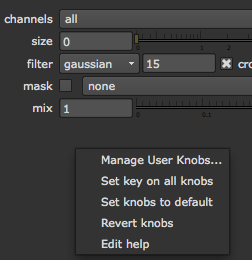 The above sets all channels controls to rgba on node creation.